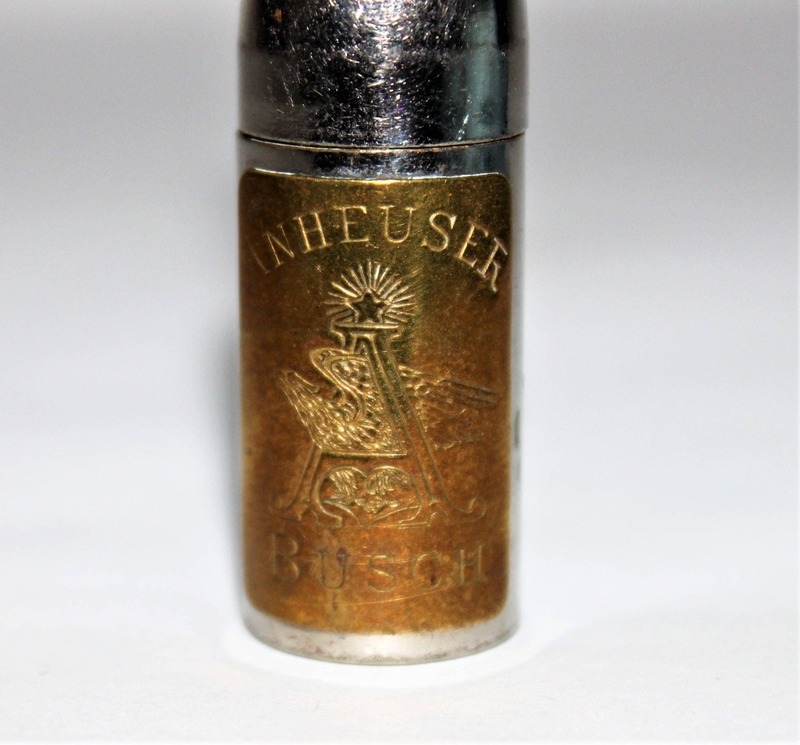 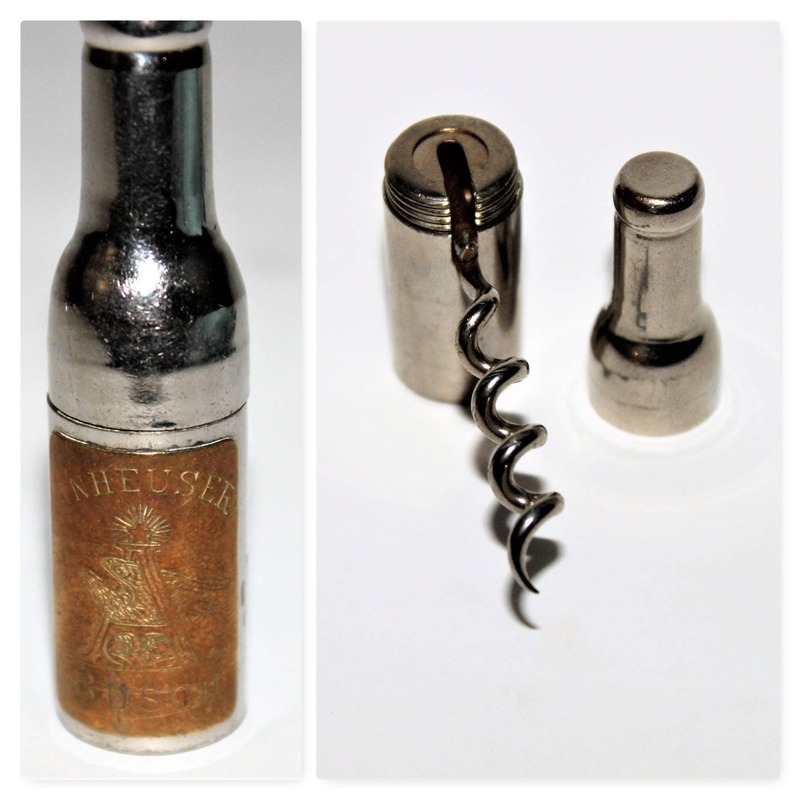 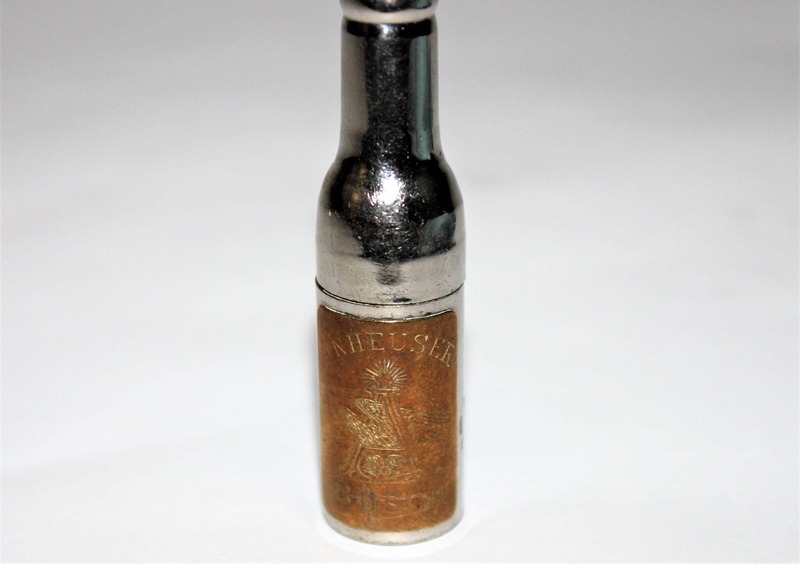 Just a wonderful find this 1897 Anheuser Busch Bottle with a hidden corkscrew inside, unscrew the cap to reveal the foldout corkscrew screw the cap back in place to make the T-handle made of nickel plated brass with a brass name plate on the front that reads Anheuser Busch the corkscrew is a steel wire also nickel plated. 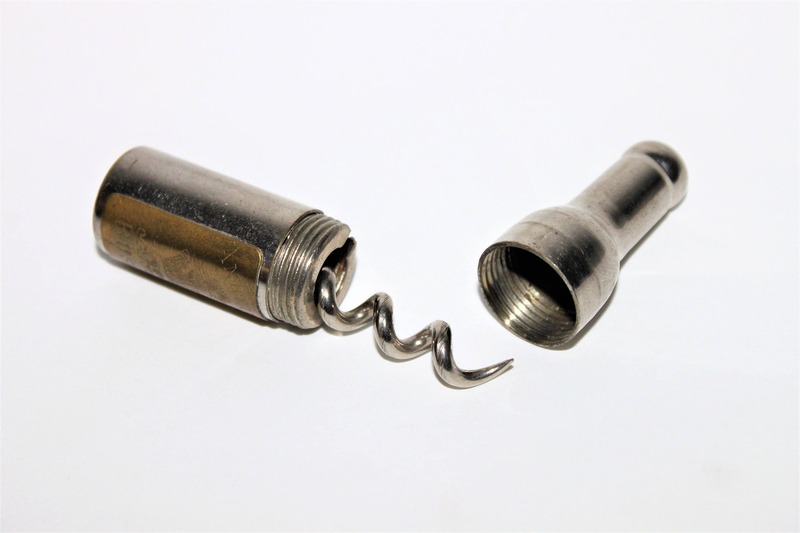 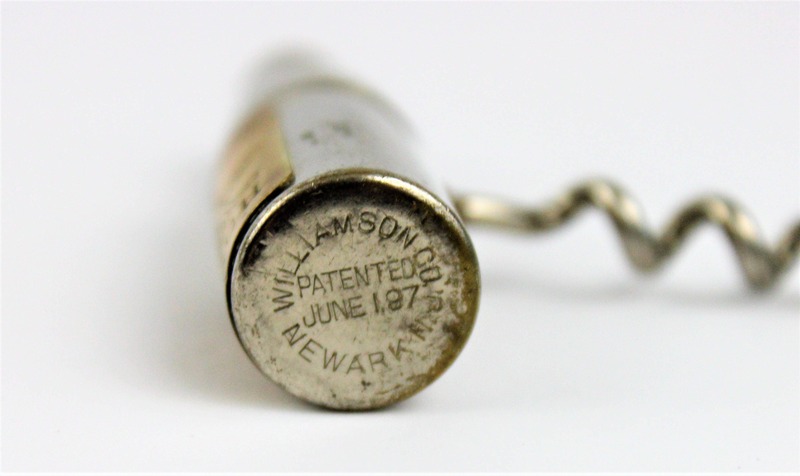 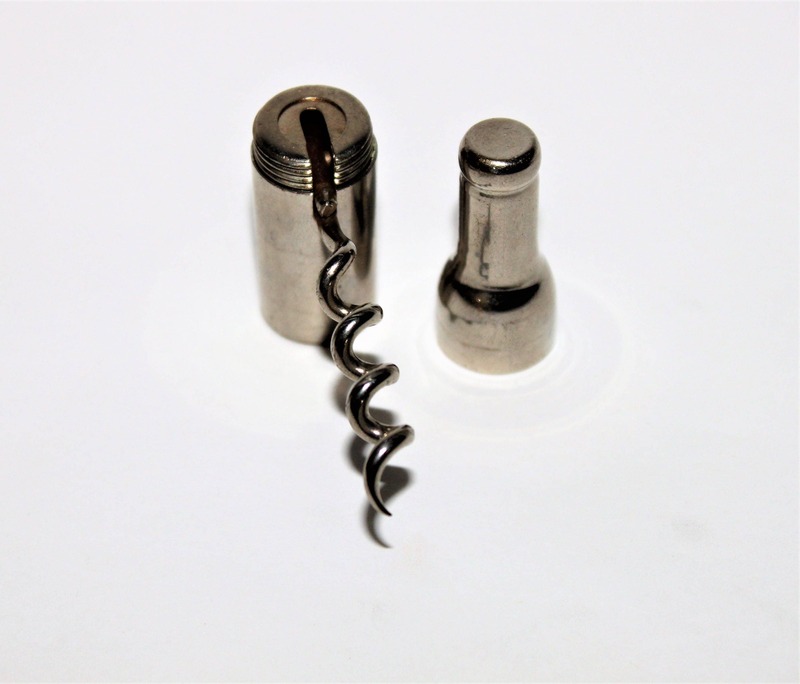 On the base of the bottle reads (Williamson Co. Newark NJ Patented June 1,97) this is the manufacturer they were one of the largest corkscrew manufacturers in the USA at that period. 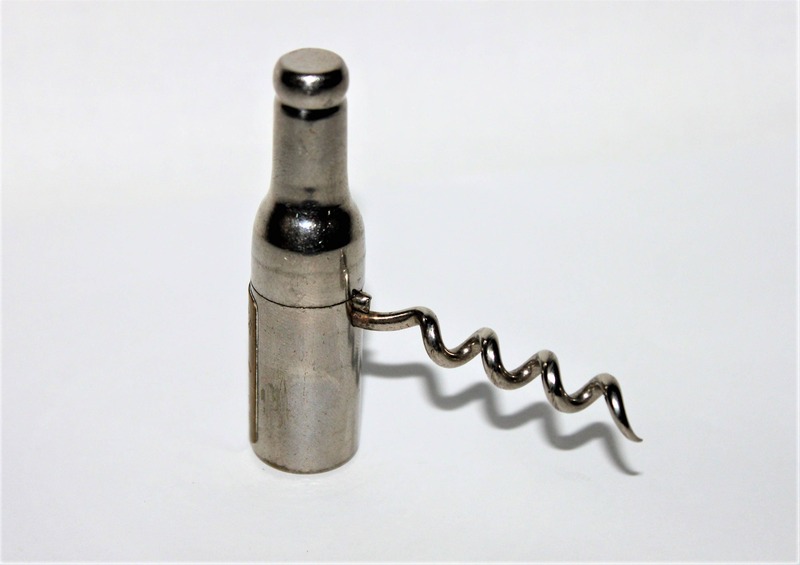 The condition of this one is amazing with only minor plating loss around base of bottle and minor scuff on bottle great addition to any ones collection.